A power cut shortly after 6.30am this morning left homes and businesses in Tottenham Street and Scala Street without an electricity supply. Engineers from UK Power Networks were called after a cable near the Tottenham Street sub-station failed. Engineers from UK Power Networks were called out and are currently carrying out repairs but some homes and businesses may remain without power until later today. 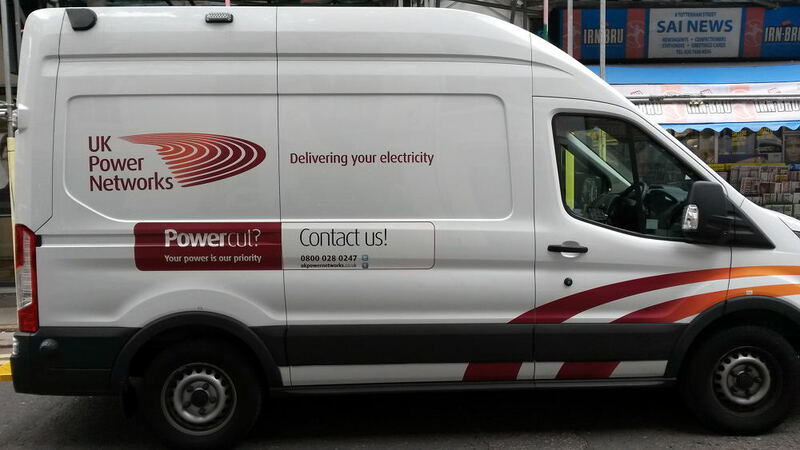 Fitzrovia News understands that a cable near the Tottenham Street sub-station failed but the supply has now been “looped” to reconnect users. Source of problem “sniffed out”. 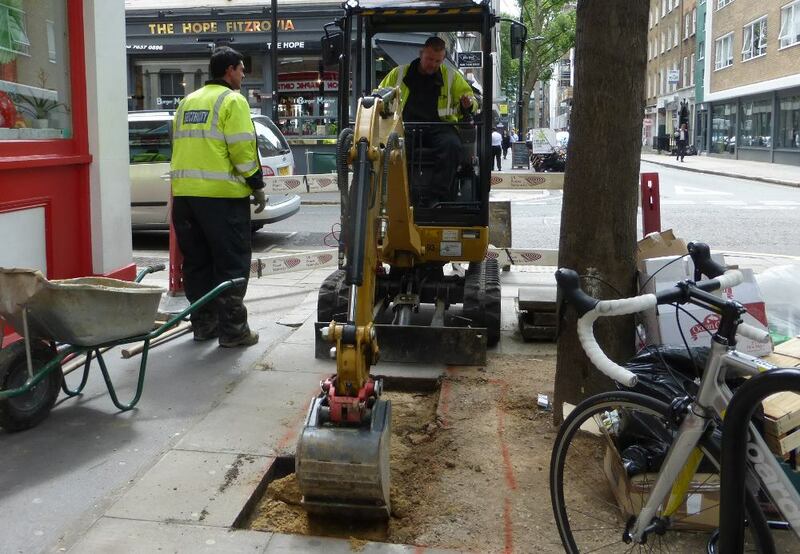 An engineer digs down to the cable on the corner of Tottenham Street and Whitfield Street. However those with power recently restored may have to be again without a supply for a short time while engineers investigate the exact location of the fault and dig the road or pavement to make a permanent repair to the cable. According to the UK Power Networks fault map the estimated time for power to be restored is 5pm today (Tuesday 28 July). Update, Wednesday 29 July: some homes and businesses are without power again after engineers failed to find the source of the fault and are — overnight on Wednesday and Thursday — digging up more pavement while the electric supply is again disconnected. A generator has been running for the last 24 hours supplying power to a home that has been without mains electric for nearly two days.